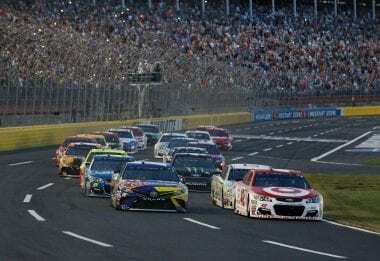 After last week’s NASCAR All-Star event, Charlotte Motor Speedway has gone to work to fix the track. They are aiming to make the track wider, bringing in a top groove. How? They’ve installed the recently popular VHT compound on just the top groove at Charlotte Motor Speedway. The idea isn’t to make it one groove around the top. Just the opposite, track officials are only trying to promote a second groove. An alternative to the bottom. It’s the first time NASCAR has used this traction compound at Charlotte. It’s been popular in SMI owned tracks, beginning with Bristol Motor Speedway. This is the first time it has been applied specifically to the top groove. Following Monster Energy NASCAR Cup Series practice for the Coca-Cola 600 a few drivers made it to the press center. Kyle Busch, the NASCAR All-Star winner, was there to discuss the changes to the track. In Monster Energy NASCAR Cup Series practice several cars got into the wall. It’s lending questions to weither or not the traction compound was causing it. 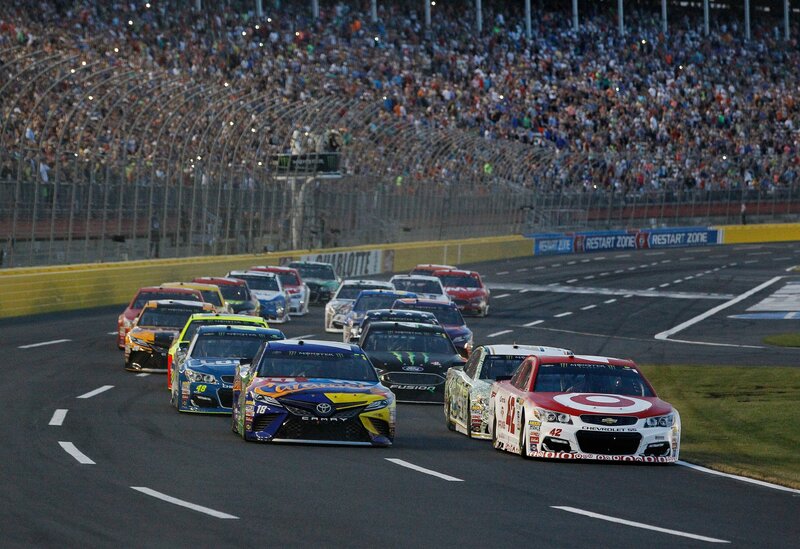 But that’s just something else to pay attention to throughout the Coca-Cola 600 weekend.